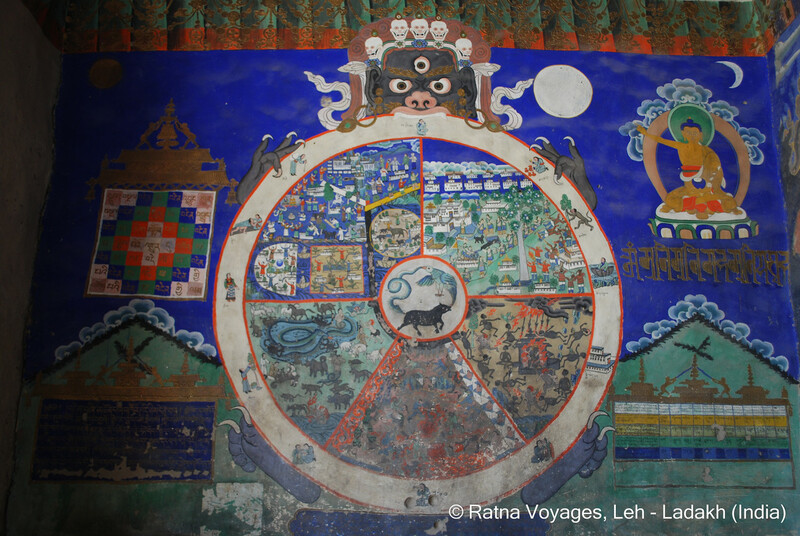 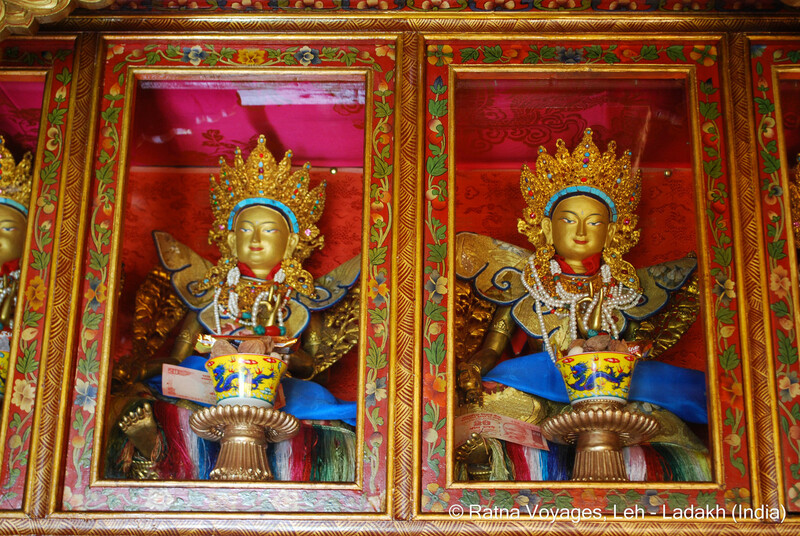 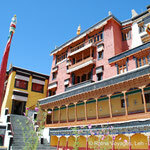 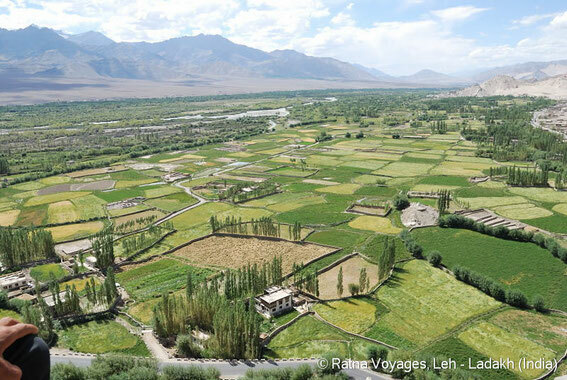 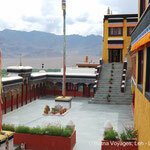 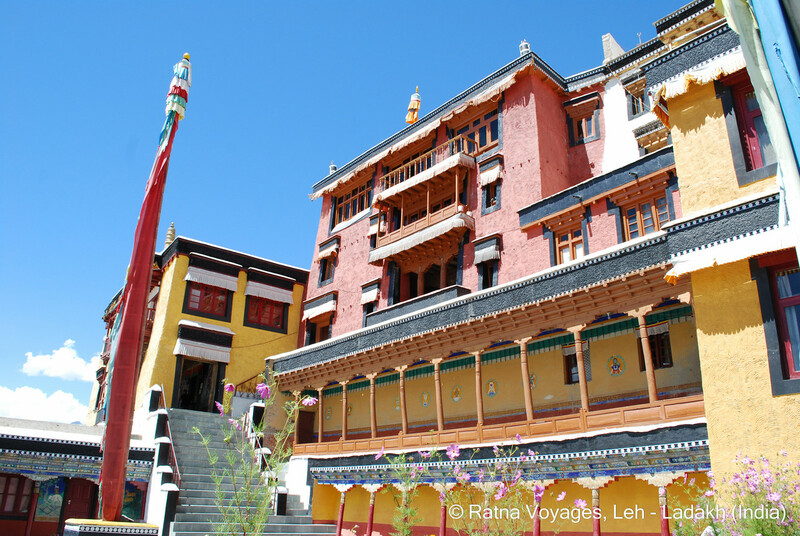 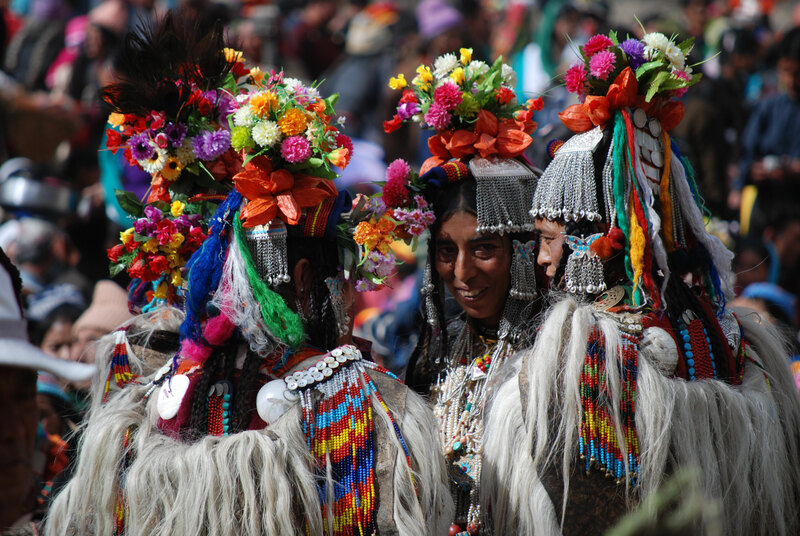 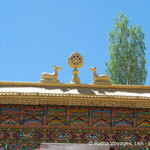 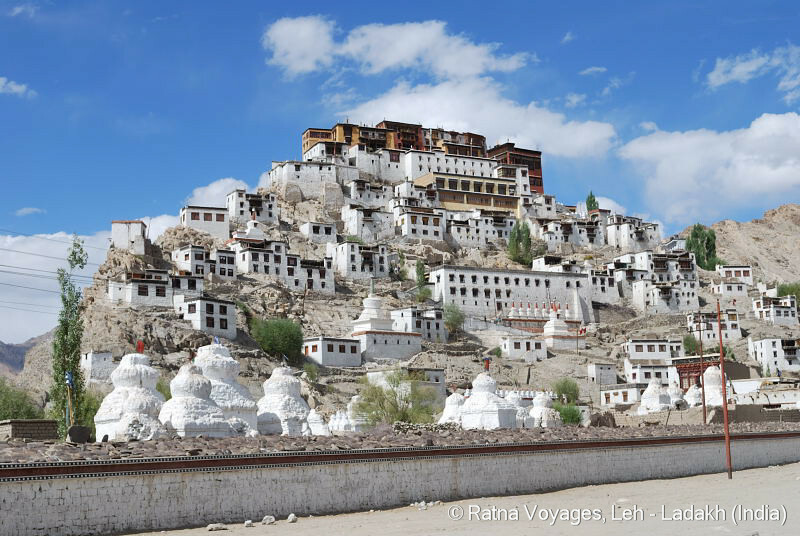 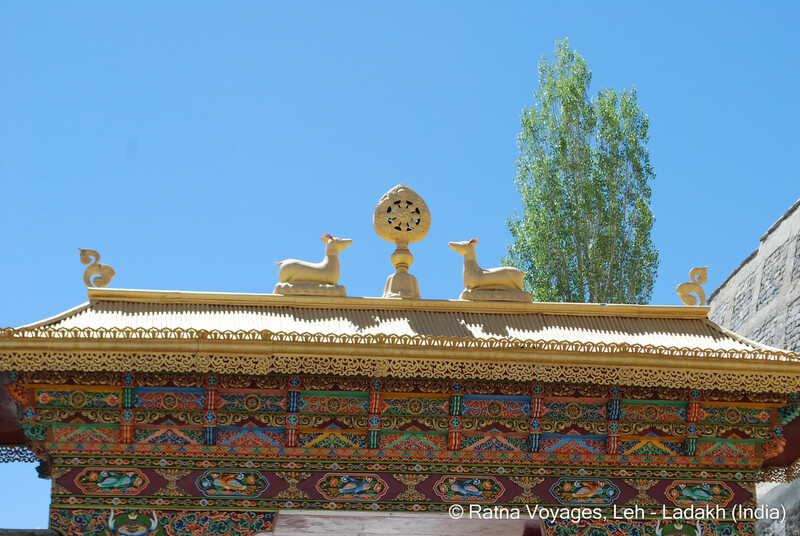 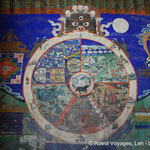 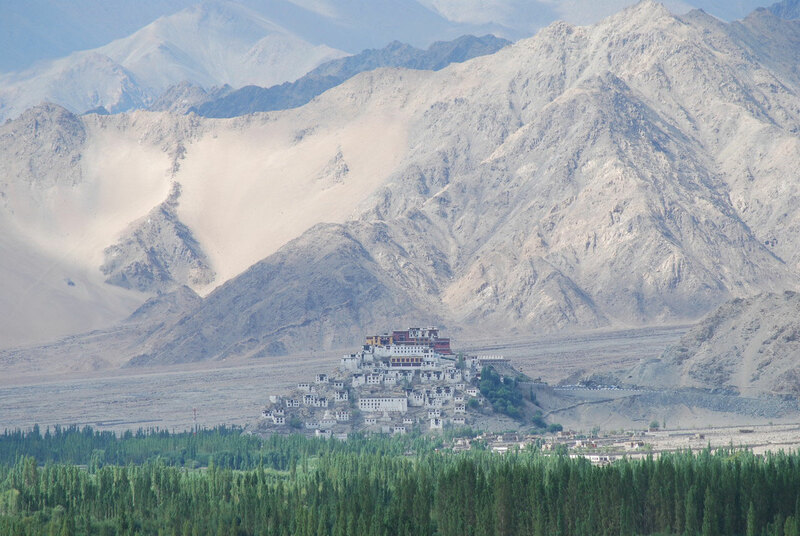 THIKSEY MONASTERY, INDUS VALLEY NEAR LEH - RATNA VOYAGES: Incredible India - Incredible Ladakh! 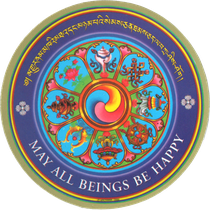 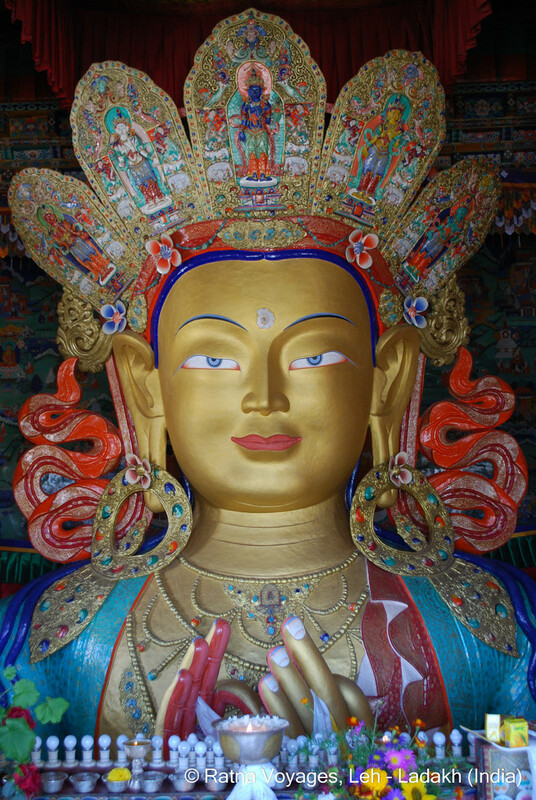 Thiksey Rinpoche, Kushok Nawang Chamba Stanzin, the living reincarnation of Changsem Sherab Zangpo, chief disciple of Je Tsongkhapa, the founder of the Gelugpa sect. 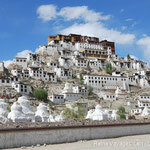 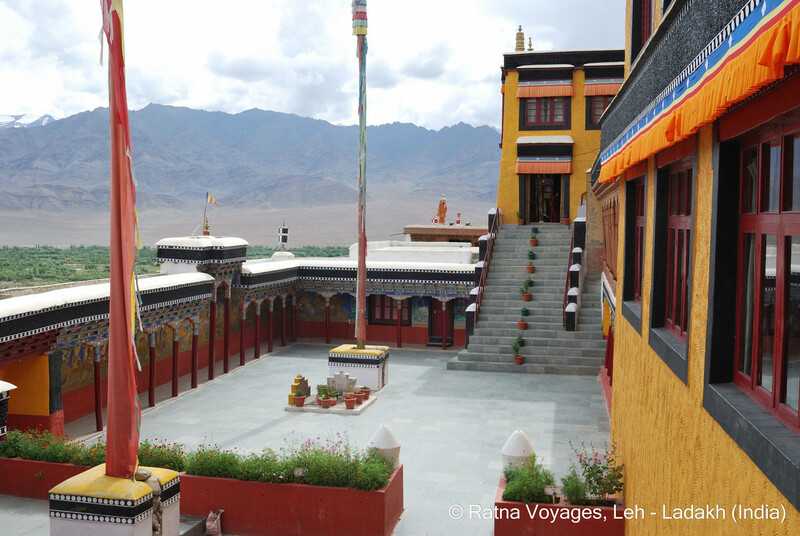 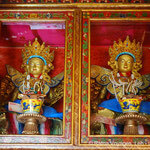 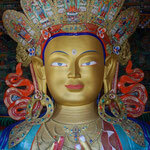 At Thiskey Monastery you can visit one of the most beautiful exxamples of the Eight Great Stupas in Ladakh. 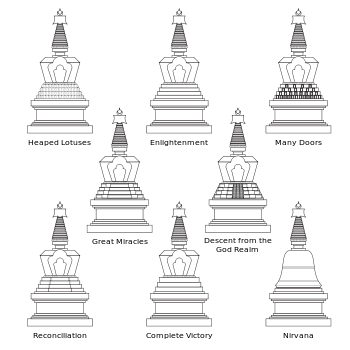 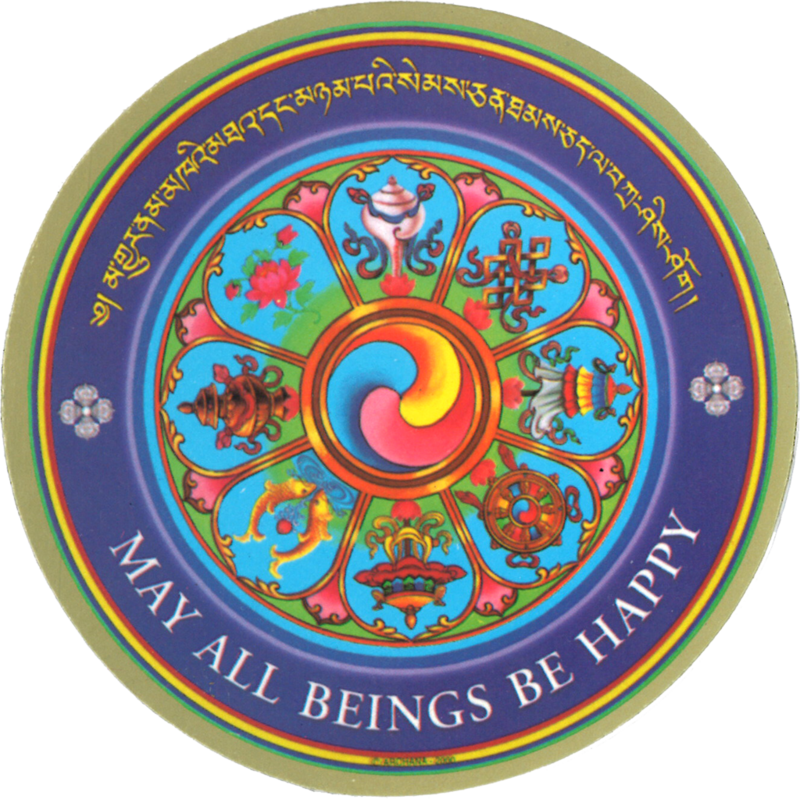 In Tibetan Buddhism there are 8 types of stupas which refer each to one specific major event in Lord Buddha's life. 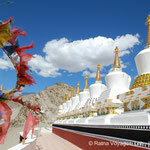 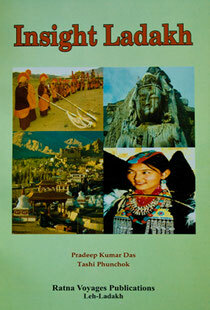 In Ladakh there are many beautiful examples of the different types of stupas. 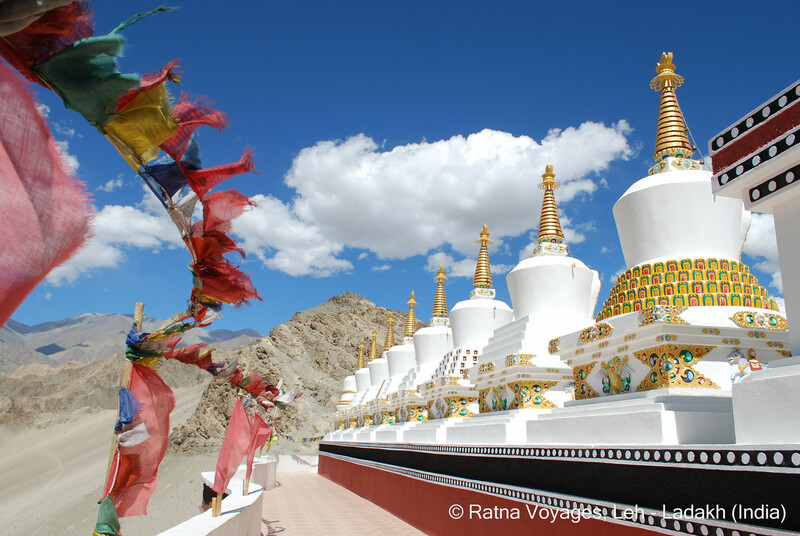 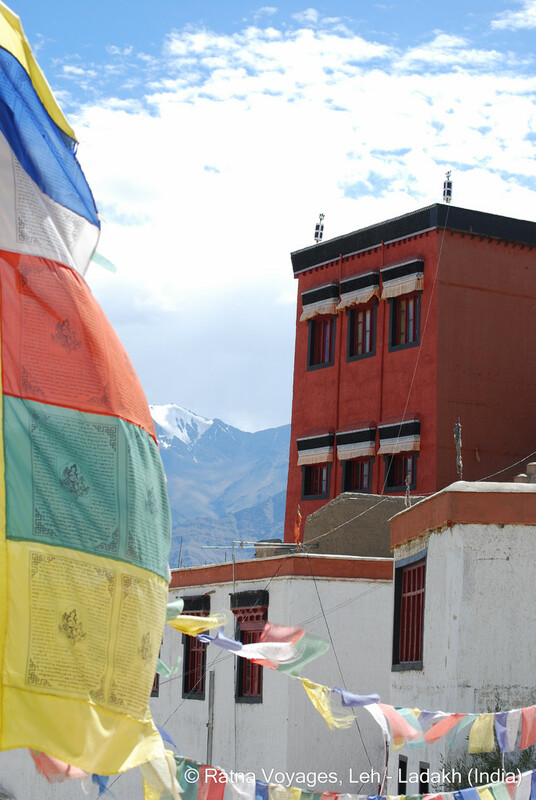 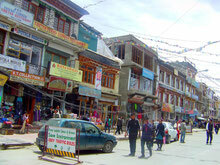 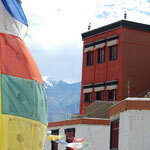 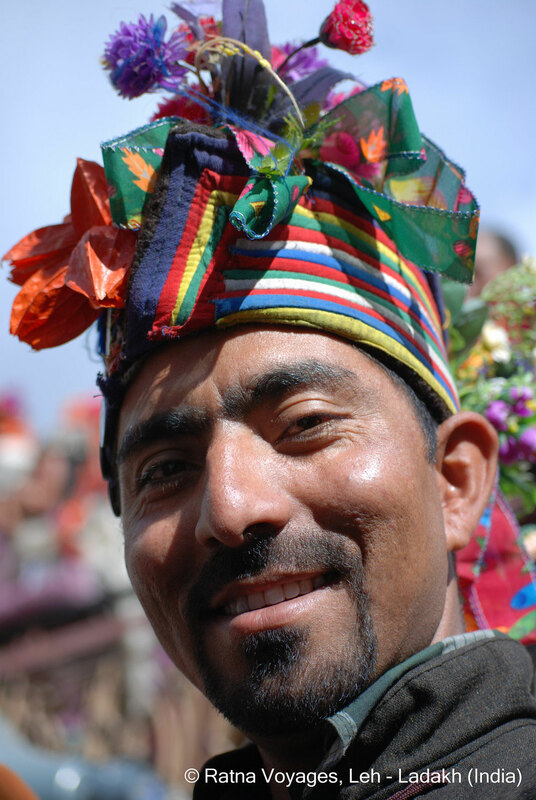 In every day life, in Ladakh a stupa is highly respected and venerated and is of great importance.